New data published yesterday in the journal Hypertension offers another proof of concept for how device and mobile-driven remote monitoring can help care teams manage the conditions of a large patient population. 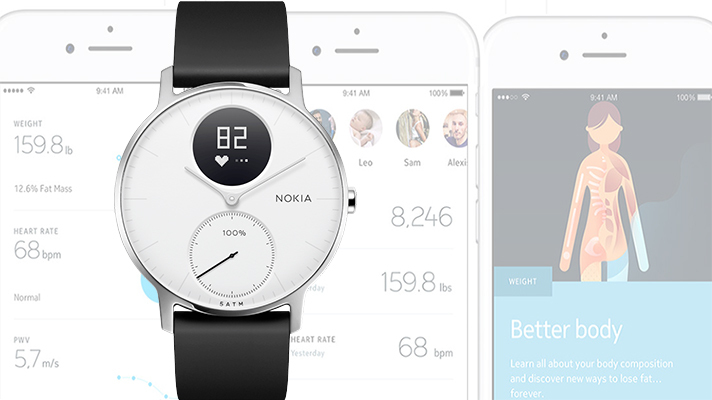 In the study, Modena and colleagues from STSI and Withings (which at the time of the study was part of Nokia Health but has since been sold back to orginal founder Eric Carreel) enrolled 295 individuals who owned three Withings health tracking devices through the Withings Health Mate app. Each was enrolled through a separate customized smartphone app, and instructed to regularly track their blood pressure and pulse wave velocity through the devices, as well as to use their wearable activity trackers as often as possible over a four month period. All participants received two reminder messages on their phone weekly, and were incentivized with Withings devices if they kept up with the protocols at eight weeks (with a $100 device) and seventeen weeks (with a $180 device) with few missed measurements. Two hundred and fifty-five participants initiated the study by recording at least one pulse wave velocity and blood pressure measurement. Of these, 83 percent were male with an average age of 48.7 years, with female participants reporting an average 47.4 years of age. One hundred and eighty participants regularly checked their blood pressure and pulse wave velocity and qualified for the 17-week study rewards. When asked their thoughts on the experience, participants gave the process a 9.1 out of 10 rating, with 99 percent saying they’d be willing to participate in another similar investigation. To gauge whether the data collected through these connected devices would be valid for clinical use, the researchers compared their data to national averages and findings from previous large studies. In general, BMI, daily steps, sleep, pulse wave velocity, and blood pressure measurements collected by the devices were in line with prior data, which the researchers wrote could give validity to similar monitoring approaches for a clinical population. “With high adherence, satisfaction and participant engagement, this proof-of-concept study required minimal study personnel and no participant training, thereby making it likely scalable to much larger populations,” Steven Steinhubl, director of digital medicine at the Scripps Translational Science Institute and the senior author on the study, said in a statement. It seems that each passing week comes with news of another investigation into various device-driven patient monitoring strategies. A few months ago, for instance, a VA-sponsored study involving wearable biosensors vital change-detecting analytics showed promise in terms of sensitivity, specificity and early warning lead time. Another, presented at the Endocrinology Society’s annual meeting in Chicago, suggested that continuously monitoring health patches could help identify Type 1 diabetes patients’ hypoglycemic events.